‘Remember remember, the fifth of November’ goes the English rhyme, referring to the infamous Guy Fawkes and his thwarted attempt to blow up Parliament in 1605. 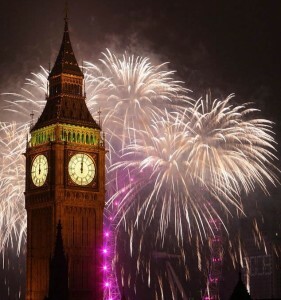 To celebrate his failure, Guy Fawkes night sees hundreds of firework displays across the UK. But fireworks were around long before we started using them. Originating in China, the story goes that gunpowder came about by accident around 2,000 years ago when a Chinese cook chanced to mix the then common kitchen materials charcoal, sulphur and saltpetre. It burned well and, when packed into a bamboo tube, exploded. A thousand years later, gunpowder was used by Chinese monk Li Tian, who was living in the Hunan province in the vicinity of Liuyang City, to create the firecracker – today the Liuyang region produces a vast amount of the world’s fireworks. The loud explosions were (and still are) thought to be effective in warding off evil spirits. His invention is annually celebrated in China on 18 April, and firecrackers still feature hugely in Chinese New Year celebrations to embrace a new year with an absence of any nasty spirits. Some sources say the Crusaders brought gunpowder back from their travels, but explorer Marco Polo is largely given credit for introducing it to Europe in the 13th century. Initially it was used in weapons -rockets, canons and guns in particular – but it was the Italians who first produced fireworks. They get a mention in Shakespeare, and Elizabeth I was so fond of them that a new post – Fire Master of England – was created! Today, fireworks continue to delight humans, and terrify dogs and cats, the world over.